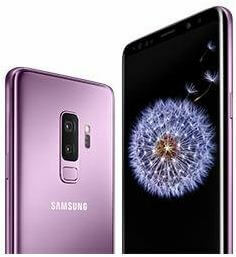 Samsung galaxy S9 and galaxy S9 plus has several awesome features such as AR Emoji, super slow motion video, video enhancer and more. But in this tutorial, I will show you easy method to lock apps on galaxy S9 and galaxy S9 Plus. You can’t need to download third party app for lock or hide apps on Samsung S9 & S9 plus. You can use this galaxy S9 lock app feature if protect your important app data or restrict children to open YouTube or other unnecessary apps. Just lock that app if you want to not use that app your friends or other person. To again use app, unblock app on galaxy S9 device. Check out below given complete process to unlock or lock apps on galaxy S9 and galaxy S9 Plus. Here you can see lock apps, list view, settings and contacts us settings. Now show lock icon on all recent apps list in your galaxy devices. Now open the app you can locked, you can see open the app but can’t see anything in app. If you want to show/hide apps notification on lock screen in galaxy S9 and S9 plus, follow below steps. And that’s it. We hope this makes it clear how to lock apps on galaxy S9 and galaxy S9 Plus Oreo. If you have any kind of trouble, tell us in below comment box. We’ll respond as soon as possible. Stay and connected with us for latest S9 and S9 plus tips.